Come meet the engaging and inspiring 2016 cohort of British Bulldog interns. 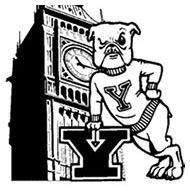 British Bulldogs is Yale's flagship international internship programme, which has been running in England since 2005. This year -- after a rigorous application and interview process -- we are pleased to welcome 12 Bulldogs to our shores for the summer. As with all young Yalies, they are bright, committed, excited and exciting -- and bring welcome news of life on campus as it is now. Do please make every effort to come meet them, their sponsors and participants of other Yale summer programmes. Also, if you are interested in finding out more about the programme or have ideas of sponsors for next year's programme, please contact Nixi Cura. Please note that attendees should adhere to the East India Club dress code.